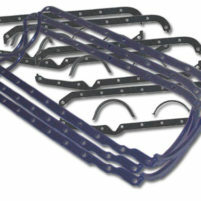 Reher-Morrison uses and sells Fel-Pro, Mr. Gasket and Cometic intake gaskets. 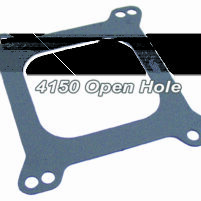 These quality gaskets are dyno-tested and race-proven to be durable. Call TOLL FREE 855-467-4880 for assistance with your application. Made from, Aramid Fiber, which is a premium hi-temperature, hi-density creep resistant material that requires no re-torquing and is fuel resistant (i.e. alcohol). All Cometic fiber materials are asbestos free and require no additional sealants. 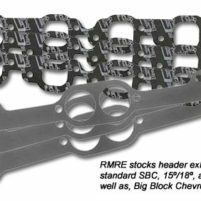 While many Cometic HiPerformance and Racing type gaskets are custom and require special order, RMRE stocks these gaskets in the following thicknesses.